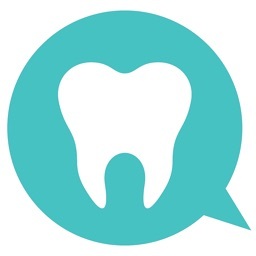 This consultation app requires a Lexikeet DENTAL account to use. Please be sure to obtain credentials before using. 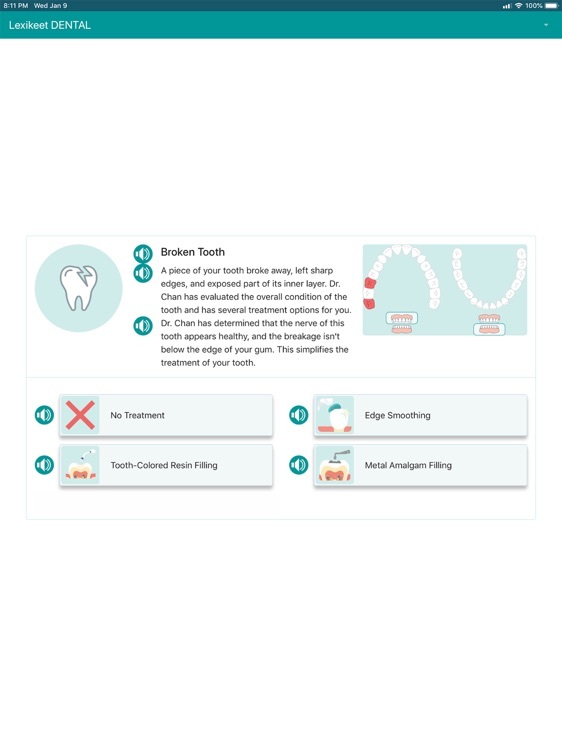 While you're performing other duties crucial to your dental clinic, Lexikeet DENTAL's Consult Tool guides patients through consultation and education, and enables them to select from your pre-approved treatment plans, saving you hours per work week and increasing case acceptance. 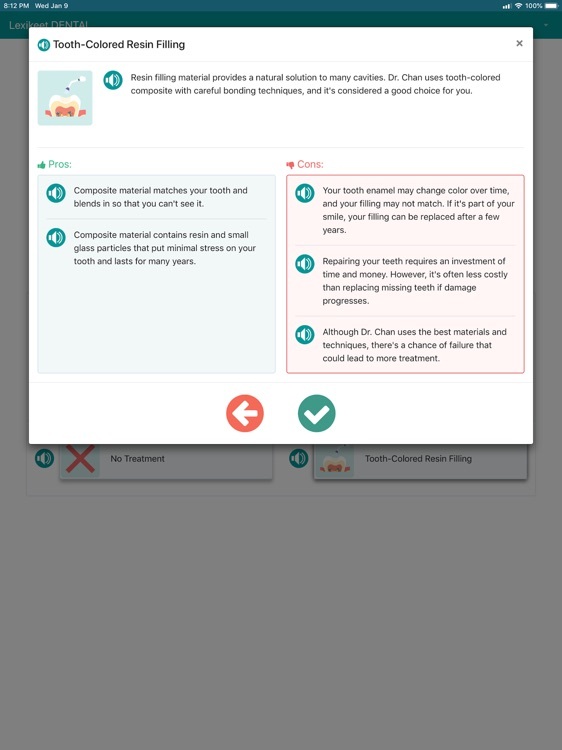 Inform your patients - After entering your patient’s unique circumstances on our intuitive platform, the Consult Tool informs your patient in accurate, easy-to-understand terms about their care options, allowing them to quickly comprehend the pros and cons of each option so they can select the course of care that’s right for them. Easily recommend the best treatment plan for your patient or let them decide from your pre-selected treatment options. Spend less time informing and more time discussing well-informed patients about their options. Increase case acceptance - On average only about 30% of necessary procedures are ever scheduled and performed after initial consultation. Lexikeet DENTAL alleviates the guess work from your patients by informing them of their dental health needs, educating them about the procedures you prescribe for their specific issues, and then guiding them to schedule a follow-up appointment with you. 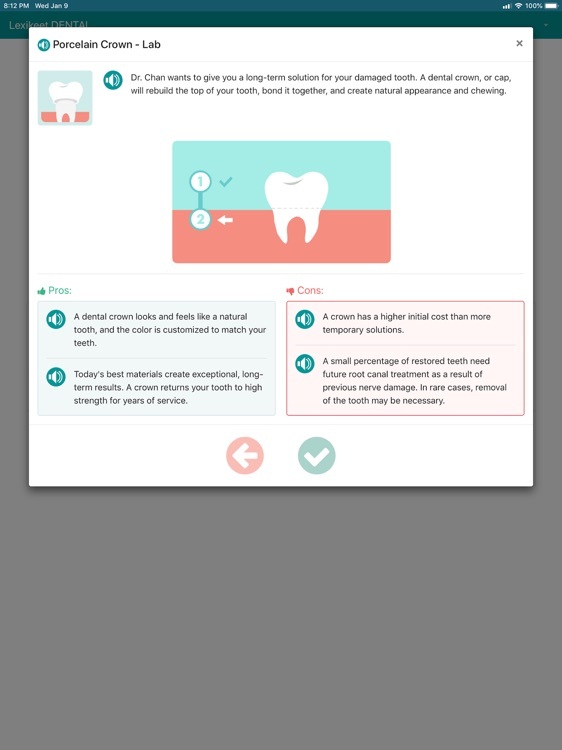 This helps you increase patient dental health, case acceptance, and your revenue, all at the same time. Clinic Time - Add hours of productivity to your work week by letting Lexikeet consult with patients for you! Patients can review care options on the Lexikeet Consult Tool on their own, freeing you up for other tasks important to your practice. 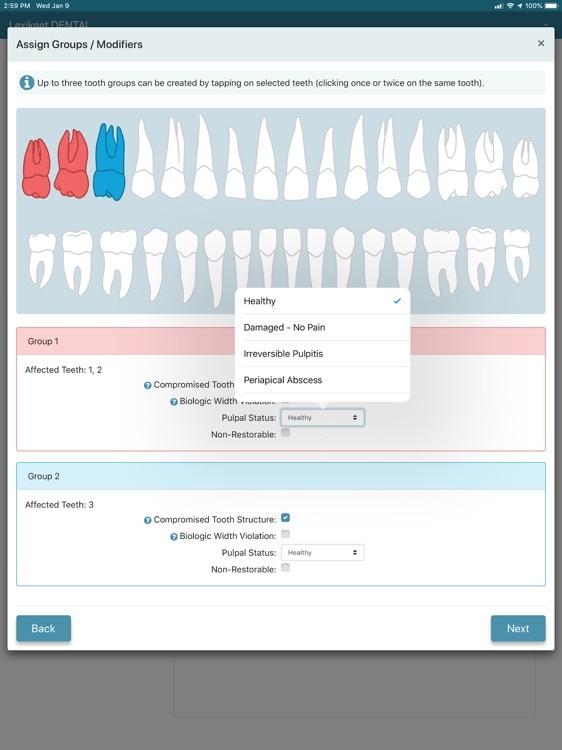 When you come back to the patient, the Lexikeet Consult Tool will show you exactly what treatment options they have chosen, based on your pre-selected preferences. 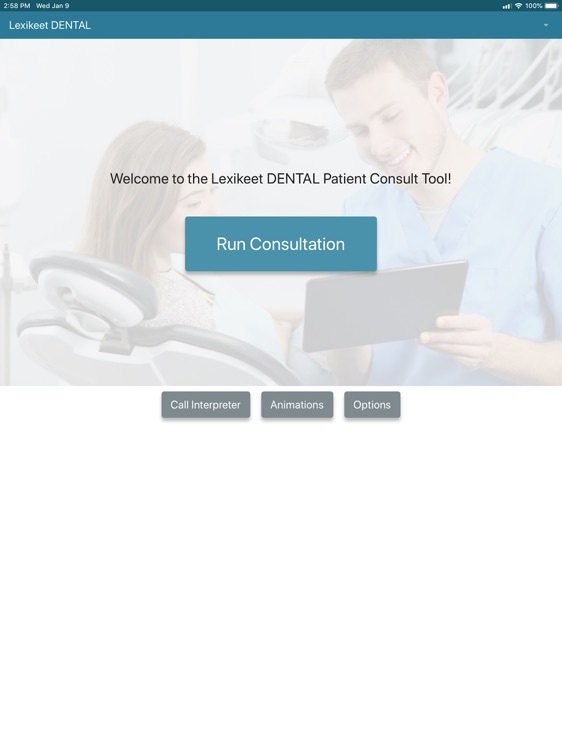 Multilingual Access - Lexikeet’s Automated Consult Tool can present dental procedure information to your patients in English or any other language of your choice, based on your subscription (examples include Spanish, Mandarin Chinese, Arabic, Somali, and many more!). Whether you have 1 or 1,000 non-English speaking patients, our interface can save you time and frustration, increase patient satisfaction and education, and improve patient outcomes. For Spanish, Mandarin Chinese, and Arabic speaking patients, contact on-demand interpreters at any point in the interaction to clarify points of confusion (for other languages, interpreters can be scheduled ahead of time). 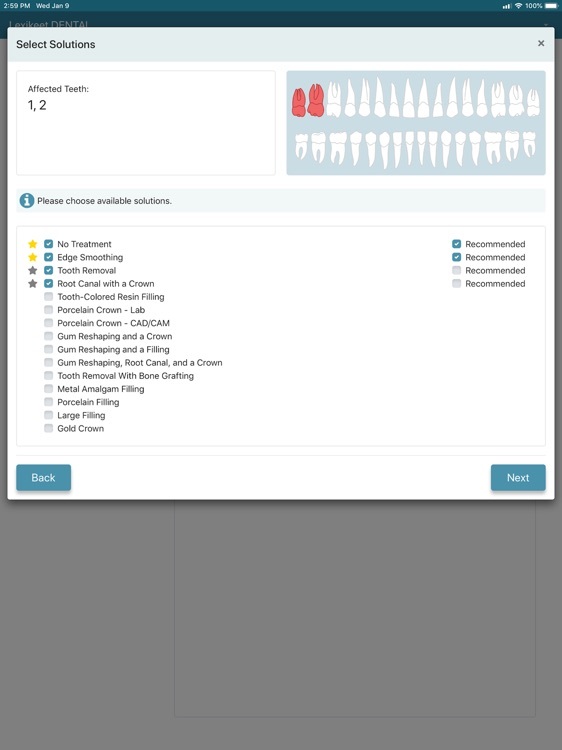 Customizable Options - Do you offer porcelain crowns using CAD/CAM technology? 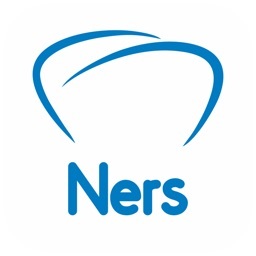 Would you like to recommend nitrous oxide for most fillings? 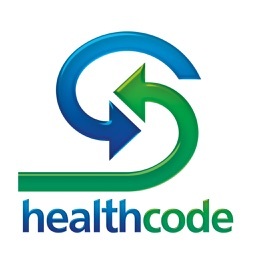 Customize solutions for your patients in your practice by setting generally recommended courses of care so patients only see the option(s) highly recommended by you. 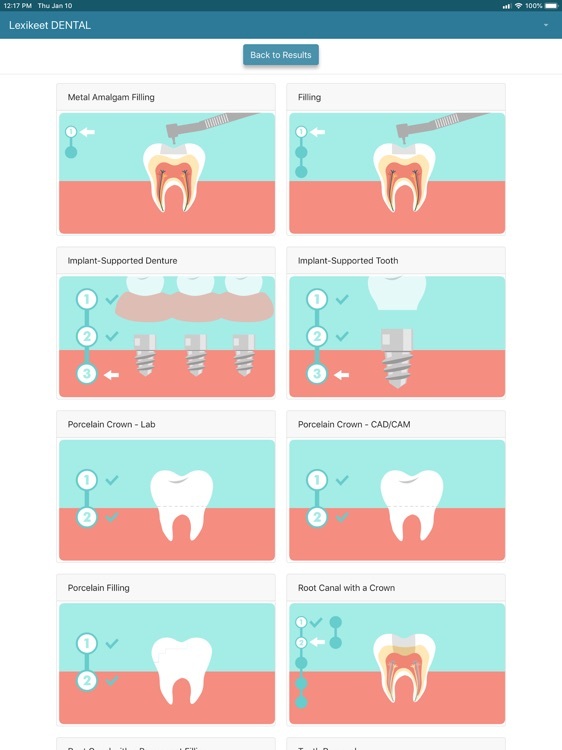 Affordable - With the average dental procedure approaching $1000 or more, the Lexikeet Dental Consult Tool easily pays for itself after securing just a few extra procedures! In addition, our pay-as-you-go, on-demand video interpretation can save you up to 90% when compared to hiring on-staff interpreters or booking an in-person interpreter for non-English speaking patients. Adaptable - You choose how involved the app is in optimizing your workflow. 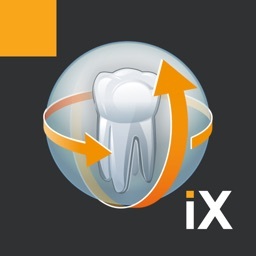 Prefer to talk everything through with each patient with the Lexikeet DENTAL animations as a backdrop for your discussions? You can do that. Prefer instead to let the tool do the bulk of the education and spend your valuable time at the end answering individualized questions while you maximize your patient load? You can do that as well. In these and any case in between, using the tool results in truly informed consent. 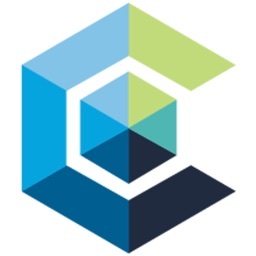 Compatible - This app is tailored to and tested on any size iPad, from iPad Mini to iPad Pro.